Nutrition is a key factor for the proper growth and development in children. 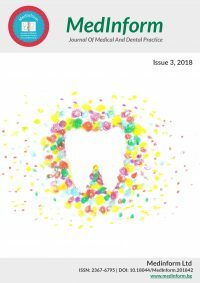 The aim of this review is to see over and analyse the current scientific evidences on relationship between nutrition and oral health in childhood. Nutrient intake has been shown to affect the growth and development of orofacial structures and may be a major factor in the appearance of the dental diseases. On the other hand, impairment of the function of oral structures and tooth loss may be the cause of incomplete nutrition. The assessment of children’s diet should be part of the day-to-day practice of the dentist in order to provide better prophylaxis and appropriate conditions for balanced nutrition.